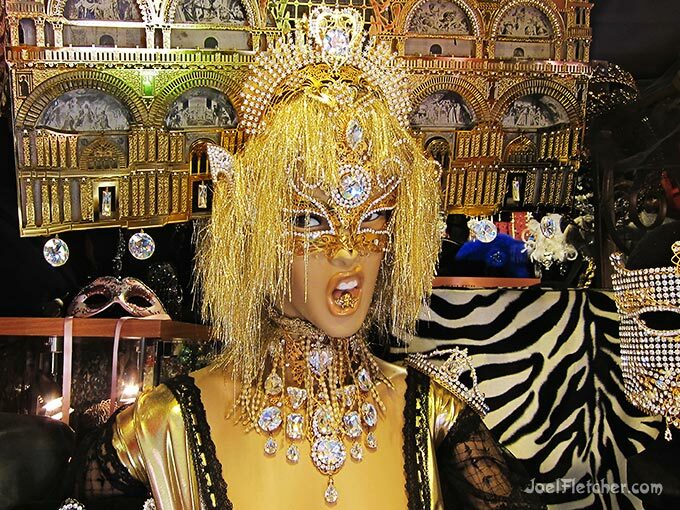 I was intrigued by this extravagant store window display in Venice, Italy, and had to get a shot. Venetian carnival masks with ornate designs are part of their history and culture, and are popular items with the tourists. Photographed in 2010.